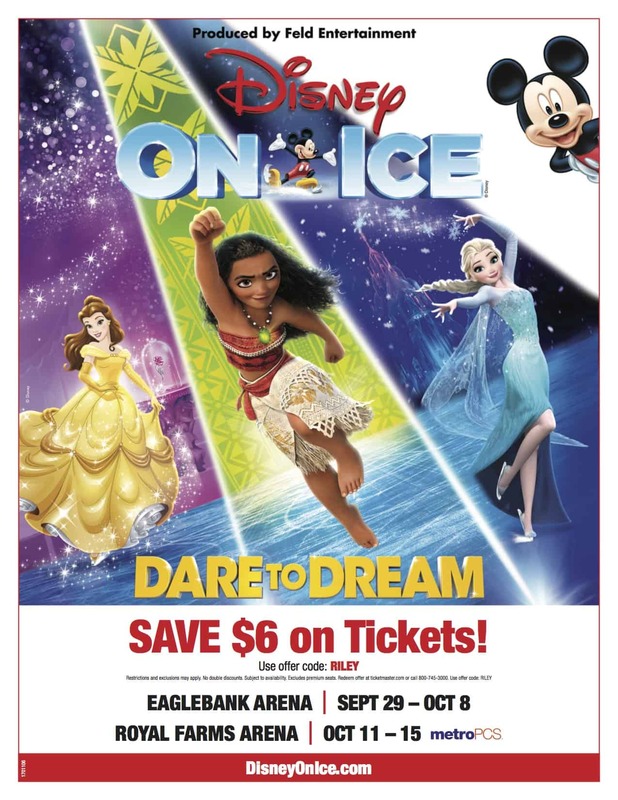 Disney On Ice Presents Dare to Dream is coming to the EagleBank Arena September 29th to October 8th! The new show is introducing Moana to the Disney On Ice family and I have a special giveaway for you! I am a Feld Family Ambassador. All opinions are my own. In Dare to Dream, Mickey and Minnie are taking us on a journey across raging seas and snow covered mountains to spark the courage inside us all. 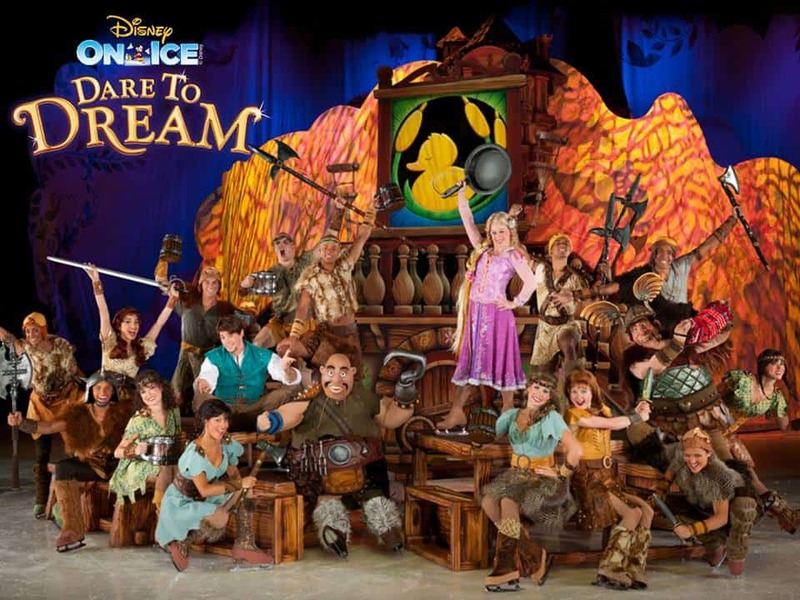 No goal is too big when we find the strength to shape our own destiny at Disney On Ice presents Dare To Dream! See how far Moana will go in an epic adventure with demigod, Maui, to save her island and discover her true identity. Join Belle as she fearlessly befriends the enchanted castle staff and reveals the Beast’s gentleness. Experience Anna’s devotion to her sister, Elsa, on her life-changing journey to stop an eternal winter. Explore with Rapunzel, Flynn Ryder, Cinderella and friends from around the Disney Kingdom as they find the heart and determination to overcome obstacles and make their dreams come true. See Disney On Ice Presents Dare to Dream and Save $6!! Tickets start at just $20. Get yours today by phone at 1-800-745-3000, www.ticketmaster.com, or at the EagleBank Arena box office. 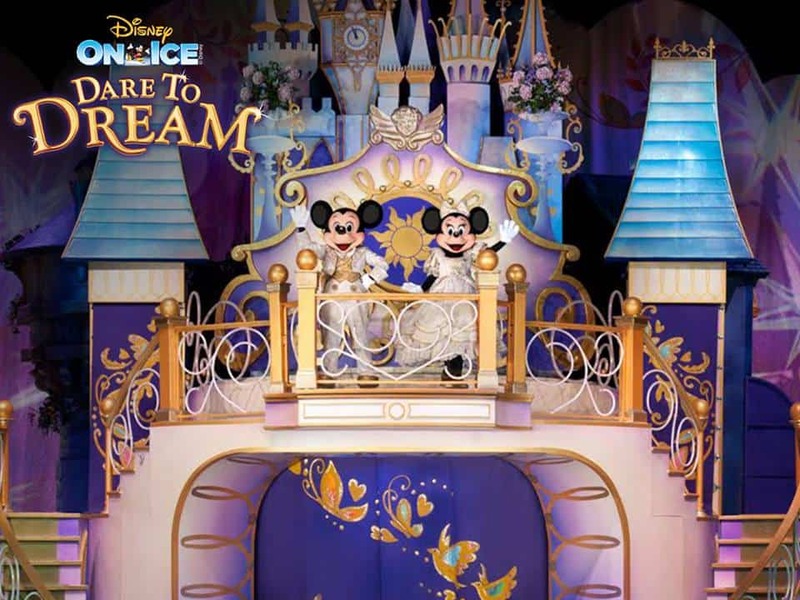 Enter for a chance to win 4 tickets to the opening night of Disney On Ice Presents Dare to Dream! Friday, September 29 at 7:30 p.m! I am a Feld Family Ambassador, and in exchange for this post and all time and efforts put into sharing my opinions and anything Feld Entertainment is offering, I was provided with complimentary tickets to Feld shows and opportunities to attend private Feld pre-show events. This is such a great giveaway! I know a few people that would love to see this show! I’ll send them your way! Last year we went to Disney On Ice such a great show and so colorful. Disney really does it right. Thanks for the giveaway a must participate for everyone. My daughter loved DIsney on Ice when we went last year. Always so much fun – the costumes, the stories and of course, the skating! This is going to be such a fun show. 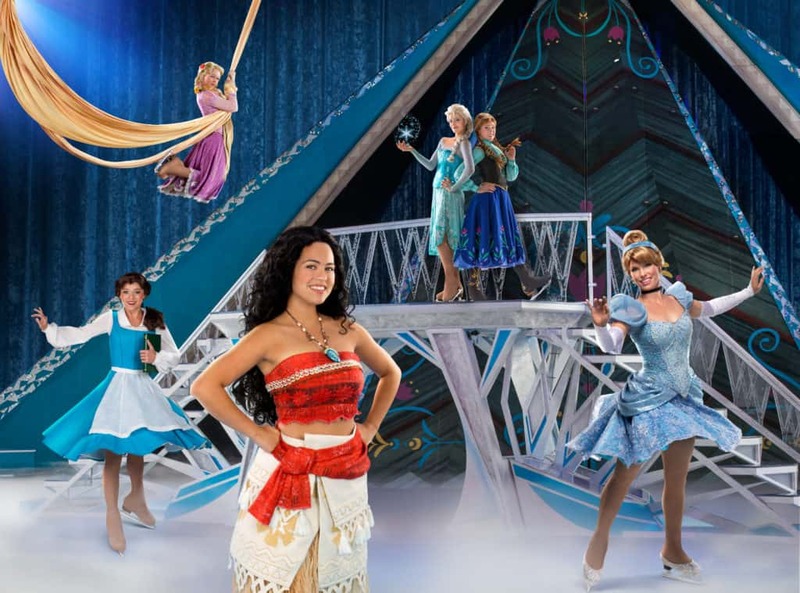 It’s going to be magical for kids to see all of their favorite characters perform! I wish this was coming to a place near me. I love Disney and ice skating. We are going to see this in December with our girl scout troop. We love Disney on Ice events! I would love to take my kids to see this but with my surgery I just can’t afford it. Looks like it’s going to be a great show though. I took my boys to Disney on Ice years ago and they really enjoyed it! This new show looks great and I’m sure it will be popular now that Moana is part of it. I would love to take my daughter to see this! It sounds like so much fun. Moana is played on repeat in my house. Wow! We’ve never seen a Disney on Ice show. Can’t wait to check this out in NYC! I think my daughter and niece would love this — ultimate Moana fans! Hoping to take the little one soon!! I have never watched such kind of shows. Hope, I get chance to explore it. I am so excited I am going Saturday to see this. It will be my first ever Disney on Ice and I am so excited. Crossing fingers Hurricane Irma doesn’t change my plans. I’d take my boys! They love anything Disney. I have a 6 yr old boy. Would he enjoy this show? It seems a bit “princess-sy”.